Over the past 15 years, home equity lines of credit have emerged as the driver of mounting non-mortgage debt in Canada — yet many Canadians don’t understand what they’ve signed up for and are not moving to pay them off, a new survey suggests. The more than three million Canadians holding a HELOC owed an average amount of $65,000, the study released Tuesday by the Financial Consumer Agency of Canada (FCAC) found. About one quarter of HELOC holders had a balance of more than $150,000. Yet 25 per cent of respondents said they only made the interest payments month to month. Ipsos conducted the online survey of 4,800 Canadians, most of them homeowners, from June 5-28, 2018, on behalf FCAC, a federal agency that promotes financial education. HELOCs are revolving credit products secured against the equity in a home. Banks can lend up to 65 per cent of the value of a home. Such lines of credit have been easy to get and banks offer them as a default credit option to anyone with home equity. Of the homeowners surveyed, 54 per cent had a mortgage and 35 per cent had a HELOC. “You can’t deny the fact that for the consumer it is a cheap source of credit. However, you have to use it well,” said Michael Toope, communications strategist for FCAC. The problem is that people borrow more than they intended and end up struggling with the debt, he said. The survey suggested there is a lack of understanding among consumers of how these lines of credit work. Banks can raise the rate of a HELOC at any time. The bank can demand the balance of a HELOC at any time. There are fees to transfer a HELOC to another institution. The bank can raise or lower the credit limit on a HELOC. Interest rates began climbing in 2017 and 2018 and are likely to rise further this year. That affects the interest cost of these loans and the overall cost of paying them off. Your HELOC is more expensive than a mortgage as the interest rate is higher. “Each bank sets its own prime rate based on the Bank of Canada rate and HELOCs are usually set at prime plus a premium, but the bank can change that premium at their discretion,” Toope said. Almost two-thirds of respondents said they used their HELOC only or mostly as intended, as a revolving line of credit. Yet for some, HELOCs are a risky product that eats away at their ability to build wealth, Toope said. The equity they build in their home as they pay off a mortgage is a way for Canadians to build wealth over time, but that won’t happen if they have a debt secured by the house. “In the end, you’re losing the long-term value of the mortgage you have in your home,” Toope said. In a 2017 report, FCAC found home equity lines of credit may be putting some Canadians at risk of over-borrowing. That report found most consumers do not repay their HELOC in full until they sell their home. About 19 per cent of respondents to the new survey said they’d borrowed more than they intended. And 18 per cent said they did not know the full balance on their HELOC. Among those who paid only the interest on the debt, the majority were young Canadians, aged 25 to 34. That’s not unusual, as people at that stage of life tend to have lower incomes and may be burdened with student debt as well as a mortgage, but it still indicates a lack of understanding, Toope said. Half of Canadians borrowed against their HELOCs for renovations, but another 22 per cent dipped into it for debt consolidation, with vehicle purchases and daily expenses also common uses, according to the survey. “People should know what they are going to use it for and how to pay it down, so it doesn’t become an eternal revolving debt,” Toope said. A photo illustration shows charts for credit scores on a computer in North Vancouver, B.C., Wednesday, June, 15, 2016. Here’s what most Canadians likely know about their credit score: It’s a number somewhere on a scale from 300 to 900 — and the higher that number, the easier and cheaper it generally is to get credit. If you want to take out a mortgage or auto loan, a good credit score improves your chances of being approved and getting a lower interest rate. A high score may also give you access to instant-approval credit cards and loans. For obvious reasons, Canada’s two credit-reporting agencies, Equifax and TransUnion, do not reveal the exact formula through which they come up with credit scores. If they did, it would become easy for anyone to game the system. The implication here is that most advice you get about how to improve, build or repair your credit score is really an educated guess. Based on anecdotal evidence and what they see dealing with clients, financial advisers have a pretty good idea of how different types of behaviour affect credit scores. But they can’t tell exactly how much of a difference each one really makes. That’s why Douglas Hoyes, a licensed insolvency trustee at Kitchener, Ont.-based Hoyes, Michalos and Associates, is skeptical of strategies that entail taking out costly loans just so you can supposedly build or repair your credit score faster. Borrowing at, say, 30 per cent interest is guaranteed to cost you a pretty penny. The gain, on the other hand, it quite uncertain. Taking out a loan will definitely improve you score if you make your payments on time, but how much of a difference will it really make? No one can say for sure. Given the uncertainty, Hoyes advises borrowing through the lowest-cost debt you can access and trust that your credit score will gradually improve if you keep on top of your finances. For those with no credit history or a poor credit score, a good first step is getting a secured credit card such as the Home Trust Visa, according to Hoyes. “Secured” credit means the lender will ask you to put down, say, a $1,000 security deposit for a $1,000 credit card limit. The point of such a credit card isn’t to borrow money to finance expenses for which you don’t have cash at hand but to show that you can make disciplined debt repayments. Secured credit cards normally come with steep interest rates. The no-fee version of the Home Trust Visa charges interest of 19.99 per cent, but borrowers need not worry about it if they pay off their balance in full and on time, Hoyes noted. You might think that diligently paying off your credit card bills as soon as they come would get you the best possible score. You might be wrong. Some financial advisers and debt management experts believe carrying a small balance of up to 30 per cent of your available credit on your card might actually boost your score more than having a balance of zero. That’s because “credit scores are meant for the benefit of the banks, not you,” said Hoyes. Banks are happy with customers who reliably repay their debt. But they also make money off charging interest. So they may be happiest with customers who will eventually repay their debt but keep carrying a balance, on which they’ll have to pay interest, explained Hoyes. He advises doing what’s best for your pocketbook and skipping on financial behaviour that will ultimately cost you more — even if it means your credit score will be a bit lower. A third thing to keep in mind about credit scores is that they aren’t necessarily the only metric a bank will use to assess your creditworthiness. “Banks may have their own formulas, too, which are different from whatever Equifax and TransUnion are using,” noted Hoyes. Finally, he added, a bad credit score won’t shut you out of borrowing forever. Even bankruptcy is something you can recover from relatively quickly, if you have a good, stable job and show financial discipline, said Hoyes. 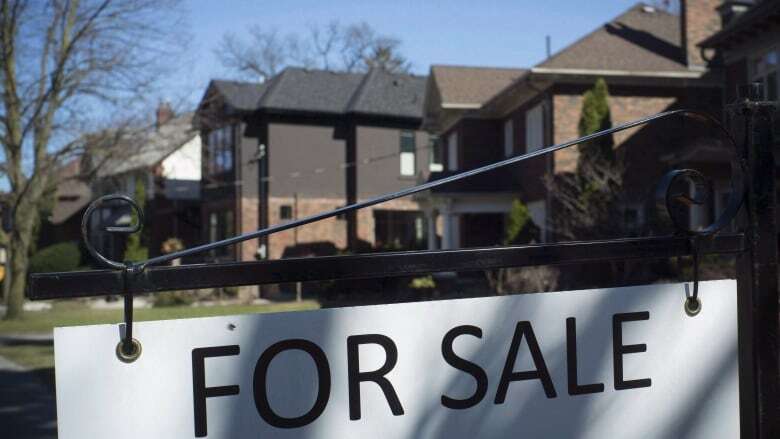 “I have plenty of clients who bought houses two years after being discharged from bankruptcy,” he told Global News. Soon, you may be able to have a credit score even if you have no borrowing history and don’t use credit cards. Credit scores are the linchpin of the consumer lending system — and they’re mostly focused on debt. Banks need to have a way to measure the risk that customers will default on their loans so they can decide whether to lend, how much and at what interest rate. But the main financial behaviour credit scores pick up on is the ability to pay back debt. Usually, it doesn’t matter much whether you’ve never missed rent or have been dutifully squirrelling away money into your savings account. That may be about to change. In the U.S., Fair Isaac Corp. (FICO), creator of North America’s widely used FICO score, is rolling out a so-called UltraFico score based on how cash flows in and out of customers’ chequing, savings and money market accounts. The company is planning to roll out the new score early next year. By signing up through an app, Americans who agree to data collection from their bank accounts will get an UltraFICO score that could boost their FICO score. That could improve their chances to be approved for a loan or allow them to borrow at cheaper rates. The company says seven out of 10 consumers who show average savings of $400 without going into overdraft for three months will see a credit score boost. It also estimates that 15 million consumers who currently don’t have a regular FICO score could get an UltraFICO score. The idea is that this could be a toehold on the credit score ladder for many people. It isn’t clear how soon the UltraFico score will make it to Canada. Credit bureau Equifax Canada, which uses a number of FICO scores, told Global News it’s “too early to share specific details on new scores.” TransUnion did not return a request for comment. But others are working on coming up with new ways to calculate customers’ credit default risk. In Ontario, DUCA Credit Union is also trying to develop metrics for lending without using borrowing history. One of its pilot programs targets Canadians with low credit scores. Through a partnership with fintech startup CacheFlow, the credit union is hoping to be able to lend to those with low credit using their cashflow data. CacheFlow’s software for financial advisers creates a cashflow plan that, among other things, tells clients how much they can spend every month in order to achieve their savings or debt-repayment goals. Working with Prosper Canada, a financial literacy charity, DUCA plans to offer cheaper loans to CacheFlow users with low credit scores who would normally turn to expensive debt options like payday lenders. The credit union will structure loan repayments according to each individual’s cashflow. The goal is to lower the share of income that goes to loan repayment and, in the long run, help clients be debt-free or graduate to mainstream lending. “What you don’t want to do is find a new way to assess credit, only to fill a gap with another loan that’s reused all the time because all you’ve done is put a Band-Aid on a symptom,” DUCA president and CEO Doug Conick told Global News. In a similar vein, the credit union is also focusing on professionals who are newcomers to Canada, where they have no credit history. It can take some time for, say, a doctor from Southeast Asia to be able to practice in this country. Accreditation is often a complicated and expensive process, said Keith Taylor, executive director of the DUCA Impact Lab, which is spearheading these new lending initiatives. With no access to credit, foreign-trained professionals often end up getting a low-paying job so they can support their families, Taylor said. And that can significantly delay and sometimes compromise their ability to get Canadian licencing. Licensed insolvency trustee Doug Hoyes is no fan of the old way of calculating credit scores. There are some obvious problems with the current system, which “rewards borrowing,” Hoyes said. For example, current credit rating models recommend borrowers who use a low percentage of what they can take out on revolving credit accounts such as credit cards and lines of credit. This means that someone with three credit cards, each with a $10,000 limit and a $3,000 outstanding balance, may have a better credit score than someone earning the same income who has a $600 balance on one $1,000 card, Hoyes wrote in a blog post. “That is ridiculous,” he said. Relying on a record of cash transactions could be a good thing, he added, but the devil is in the details. For one, Hoyes is concerned about privacy. After all, he noted, credit bureaus have not been immune from data hacks. In 2017, Equifax revealed it had suffered a breach that affected nearly 150 million Americansand over 19,000 Canadians. The other question is whether a cashflow-based risk rating could also end up encouraging consumers to take out loans they can’t comfortably afford or aren’t able to manage. 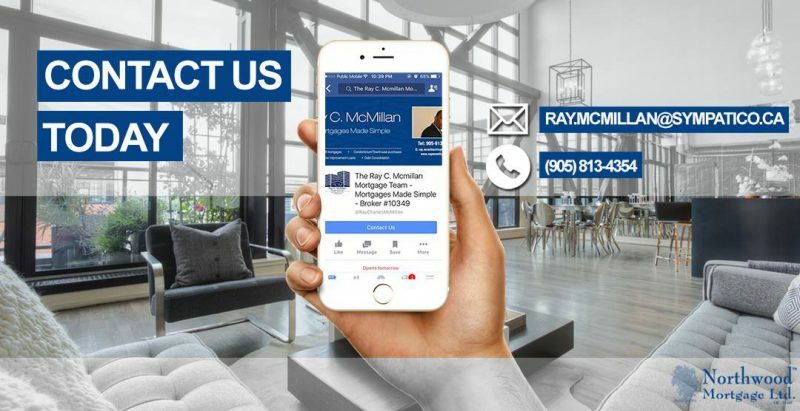 Relying on banking information would eliminate the need for people to take out loans they don’t need just so they can build a credit history and work their way up to, say, being able to get a mortgage. It could also benefit individuals with low credit scores who display financially responsible behaviour. But Hoyes worries they could also encourage some to borrow too much too soon. For young people and those new to Canada and its financial system, it might not be a bad idea to be able to borrow only small amounts at first. “If you don’t pay off your $500 credit card, that will rarely be financially fatal,” he said. Missing payments on a mortgage would be a much more serious mistake. “I can see how (the new system) could help some people but also hurt others,” Hoyes said. For his part, DUCA’s Conick says he’s determined to stay on the right side of that fork in the road. “What I don’t want to get us involved in is finding a much better mouse trap to assess risk and provide credit that can be abused,” he said. Few borrowers know about bankruptcy scores, but lenders have been using them for years. Few have heard of them, but they’ve been around for a few years: Bankruptcy scores. Most Canadians know about credit scores, and some are acutely aware of their three-digit number. Where you fall on a scale from 300 to 900 can affect whether or not you qualify for a mortgage for your dream house, a car loan or a credit card and how much you’ll pay for the privilege of borrowing that money. But there’s often another set of numbers that could cause lenders to deny you a loan or hike your interest rate — even if your credit score doesn’t look so bad. 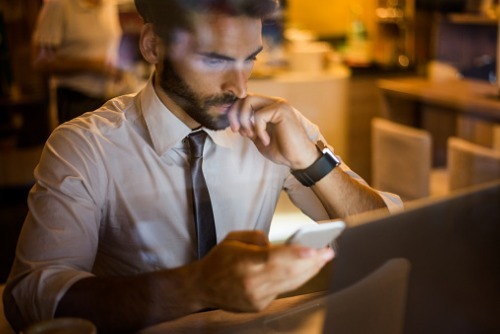 Financial institutions often rely on bankruptcy scores to gauge the probability that you’ll go financially belly up in the next 12 to 24 months. Credit reporting bureau Equifax has a Bankruptcy Navigator Index that it says allows lenders to “uncover the financial red flags not so obvious at first glance.” And competitor TransUnion has its own CreditVision Bankruptcy Score. The latter “is an empirically-derived model designed specifically for the Canadian market,” TransUnion Canada told Global News via an emailed statement. “The score ranges from 100 to 950, with lower scores indicating a higher risk of filing for bankruptcy or [a consumer] proposal,” the company added, noting that financial institutions, telecom companies and lenders in the auto-loan industry, among others, use it. TransUnion has had bankruptcy scores for a number of years but introduced its CreditVision score in 2015, it said. Equifax did not respond to two requests to provide additional information on its Bankruptcy Navigator. Bankruptcy scores are aimed at detecting risky borrowers that sometimes go under the radar with traditional credit scores, licensed insolvency trustee Doug Hoyes told Global News. “It turns out that there is a significant difference in behaviour between the person with bad credit who will not file bankruptcy and the person with a similar bad credit score who will declare bankruptcy and this is what your bankruptcy score measures,” Hoyes, co-founder of Ontario-based debt-relief firm Hoyes Michalos, wrote in a blog post. Sometimes, there’s a lag between when an overstretched borrower reaches the point of no return and when that reality will be reflected in his or her credit score. It’s possible for people with scores in the 600-700 range to be on the verge of defaulting on their debt repayments, said David Gowling, senior vice-president at debt consultancy MNP. 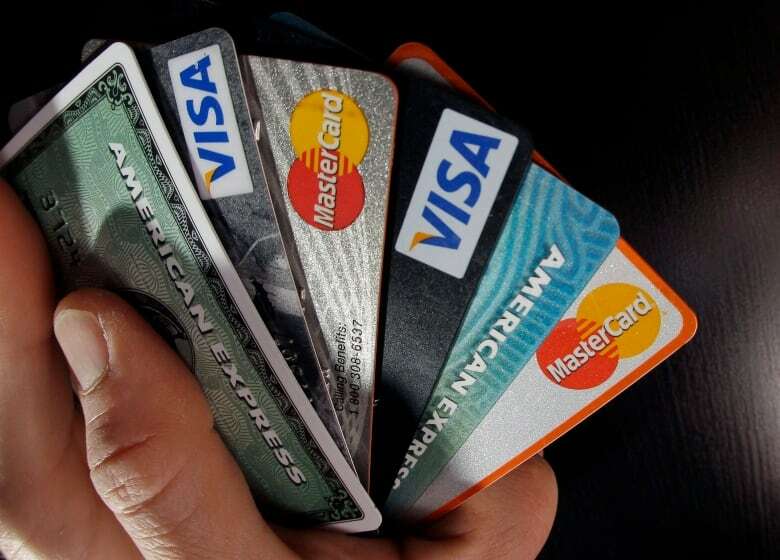 “Some people come in telling me how great their credit score is, but then you find out they’re using one type of credit to pay another type of credit,” Gowling told Global News. And because they’re still able to make minimum payments, “the credit score hasn’t caught up,” he added. Have a higher credit utilization rate, i.e. carrying a credit balance that takes up a large percentage of your borrowing limit. 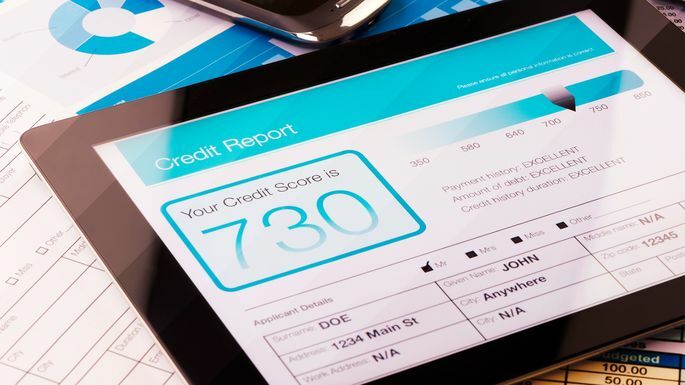 While credit scores are a look at your borrowing history in the rear-view mirror, bankruptcy scores likely pick up on these telltale signs of might happen in the near future, Hoyes told Global News. In general, the credit file of someone at high risk of bankruptcy tends to show much more recent activity, which is why applying for new credit in an attempt to improve your credit score can backfire, according to Hoyes. WATCH: Lenders behave like car insurance companies: If you don’t have a driving record, you’re automatically a very risky driver. Bankruptcy scores affect borrowers in three main ways, Hoyes said. Like credit scores, they can influence both how much you’ll be able to borrow and at what rate. But they could also result in lenders deciding to sell your debt to so-called debt buyers. Debt-buyers are companies – sometimes collection agencies – that buy delinquent debt at a deep discount and then try to collect some of that debt. If a lender has, say, 100 borrowers who are late making debt repayments, it can use a bankruptcy score to decide which ones to offload to a debt-buyer. Selling the riskiest accounts for a fraction of the face-value of the credit balance means writing off some debt, but the loss for the lender might ultimately be less than if the borrowers filed for bankruptcy. The thing is, though, that there’s no way to know what your bankruptcy score is. While consumers can review their credit reports and purchase their credit scores, bankruptcy scores are typically only available to lenders. The key takeaway, though, is that if you’ve reached the point where you’re using new debt to pay old debt, your decent-looking credit score is probably meaningless.